This week the C.R.A.F.T. Design Team is looking for a project that focuses on Outdoors Play. I selected an adorable digital stamp called, “Captain Owen” by Paper Nest Dolls. I made two versions of this stamp. I started by printing the image in two different sizes and coloured Owen with my Copic Markers. To embellish the card I used various papers, wooden pieces, die cuts from my stash. Please support our sponsors who generously provide our weekly/monthly prizes. 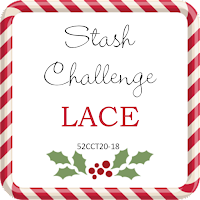 This week at 52 Christmas Card Throwdown, our challenge is to use lace on our Christmas Card. Well, I have been hearing a lot about these new “Bow” cards and decided to check them out. Wow! they are simply gorgeous. Just Google bow cards for YouTube videos and numerous beautiful examples. I purchased the template from sandrasscrapshop.blogspot.nl *. I also received written permission from Sandra to make and display my card on the 52CCT website. She sent me the bow card template as a PDF file that allows you to use scissors and a SVG file that you can use the various cutting machines. I used my Cricut. *Please note: there are numerous fabulous projects available to purchase at Sandra’s Scrap Shop. I used various Christmas papers, lace, gems, snowflake buttons from my stash to create my Christmas bow card. I used a heavy cardstock to make the actual card attached to the back of the bow, but I think I will also attach a small loop so the person receiving the card can also hang it as a decoration. I hope you like my first attempt. I will be making more! For our weekly challenge at CHNCCC we are looking for silver. I purchased this little reindeer die by Tonic Studios called, Baby Rudolph. I cut him out twice, once with a shiny silver cardstock, then again with a matt silver. I ended up with two paper pieced deer cards. The paper and stickers are from my stash. I have included a close up of both versions of my reindeer. Join us every week, and we will help you create your Christmas Card stash! This week’s challenge at C.R.A.F.T. the design team is looking for a Father’s Day or Male card. My card was made using a clear stamp set by Sweet n Sassy – Tender Thoughts Clear Stamp Set. I started by creating the background using Distress Inks. I then stamped the deer and trees multiple times using my Misti. Please help us support our fabulous sponsors who provide our wonderful prizes. Our challenge at 52CCT is to add a star(s). I used a fabulous polar bear stamp called, Peter the Polar Bear, by Hobby Art. I coloured him with Copic markers, added a punched gold star, and a sentiment made up from one of my Christmas paper sets from Kaiser crafts. Join us each week to help biuld your Christmas card stash!